Wash the collard green leaves thoroughly thrice to remove all the dirt. Take care not to tear the leaves. Dry the leaves using kitchen towel. Cut off the thick stem and place the leaf with vein side facing up. Remove the veins using sharp knife. Repeat the same with all other leaves and keep aside. 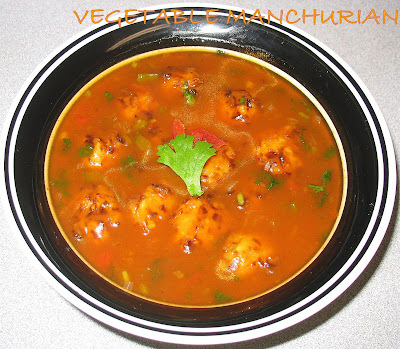 In a bowl, add besan,salt,red chili powder, turmeric powder and asafetida. Mix the ingredients well. Make a smooth thick paste by adding water little at a time. 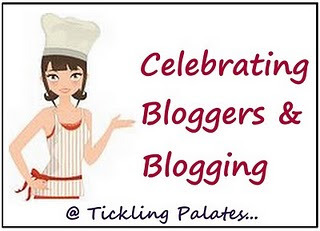 The paste should not be neither too thin or thick consistency. The paste should be in the consistency of idly batter. Now place a leaf with tip towards you on a clean surface. Apply little besan mixture and spread it using your fingers to make a even layer. Fold the leaf around 1/2" from the tip and continue rolling it up tightly. Repeat the process of applying besan paste and folding it with remaining leaves. Steam the rolls for 15-20 mins or until firm. Once the rolls cool down, cut into 1/2" thick slices. Keep aside. Heat oil in a pan and add the mustard seeds. 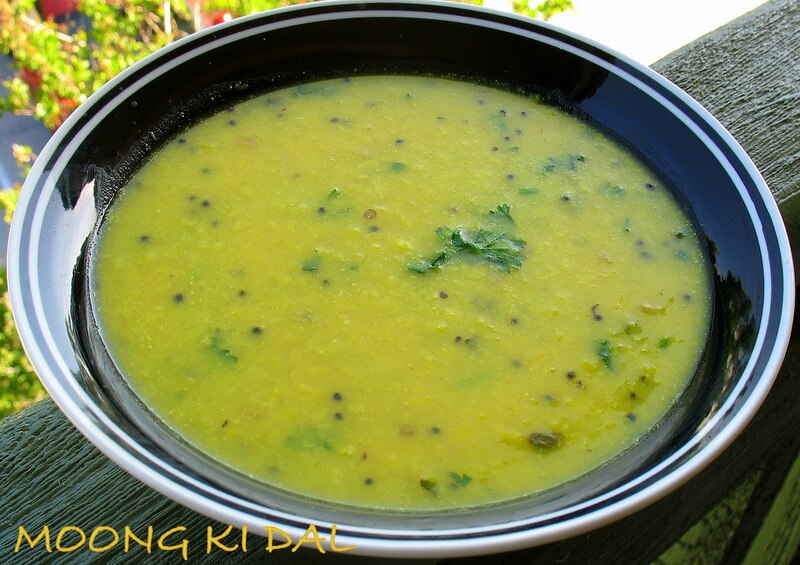 When the seeds crackle, add urad dal and a pinch of asafetida. 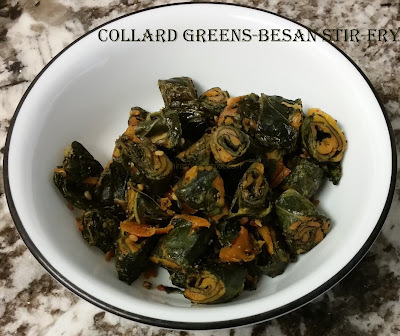 As dal turns golden brown, add the collard green slices. Toss gently and sauté on med-low flame until the roll becomes little crisp. 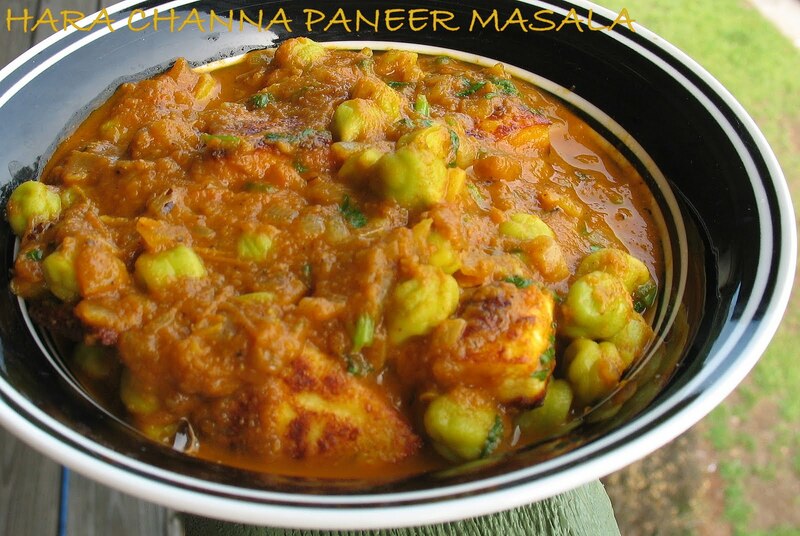 Serve immediately with rice or roti. 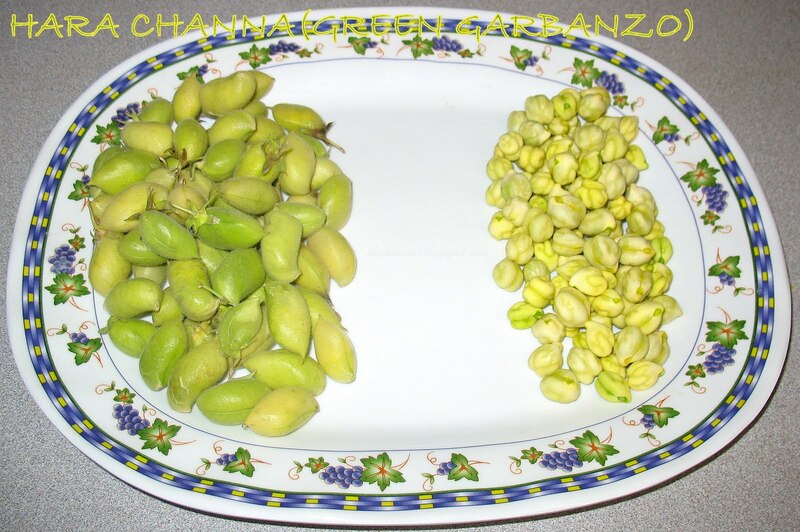 Wash the arbi twice or thrice to clean the dirt. Pressure cook the arbis for 2 whistles. Peel off the skin from arbis and cut them into bite size pieces. In a bowl, add salt, turmeric powder, red chili powder, asafetida & 1 tbsp. oil. Mix it well and then add cooked arbi pieces. 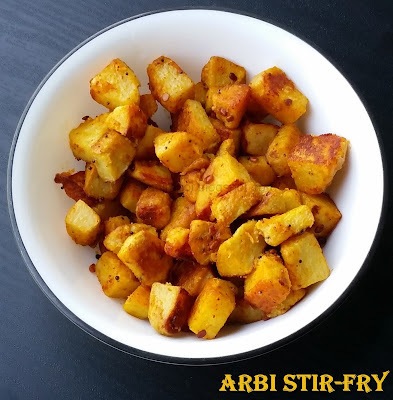 Coat the arbi gently (so that arbi retains shape and doesn’t turn mushy) with spice mixture and set aside for 10-15 mins. Heat oil (1 tbsp.) 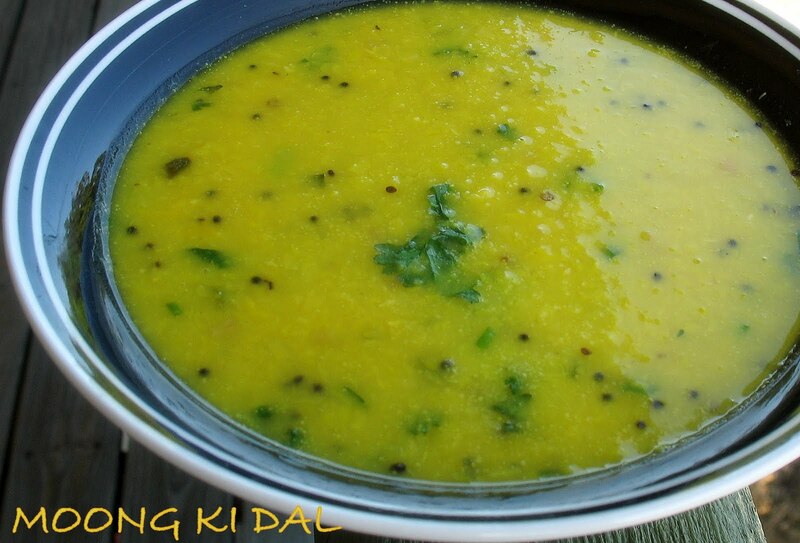 in a kadai, add urad dal and mustard seeds. As the seed crackle and dal turns golden, add the spice coated arbi. Mix gently and roast on med low flame. 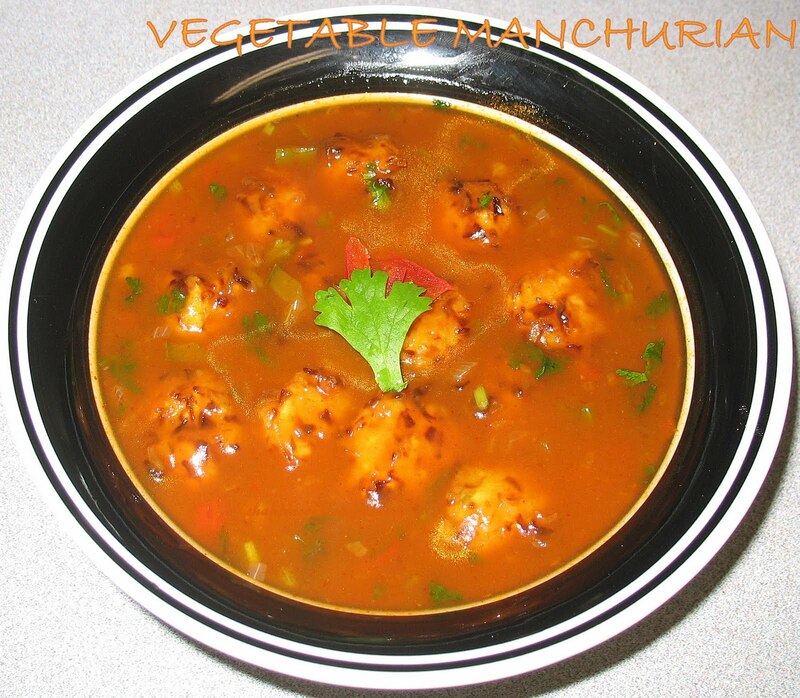 Once roasted golden brown on all sides, turn off the heat and serve hot with rice and rasam. Rinse the rice thoroughly 2-3 times to remove starch and soak for 15 mins. Cook the rice with salt and a few drops of oil in rice cooker. Once rice is cooked, keep the lid open and let the rice cool. Steam the chopped vegetables(potato, carrot, green peas, beans) till cooked well. Heat butter in a kadai. As butter melts, add cumin seeds. Once it splutters, add onion and grated ginger. Saute until the onion is light brown and raw smell of ginger goes away. Then add tomatoes and saute until tomatoes turn mushy. Then add capsicum and saute for 2-3 mins. Add salt, turmeric powder, red chilli powder and pav bhaji masala. Mix well and saute until butter starts releasing from sides. Add the cooked vegetables and saute for 3-4 mins. Add the cooked basmati rice and gently mix with vegetable mixture. 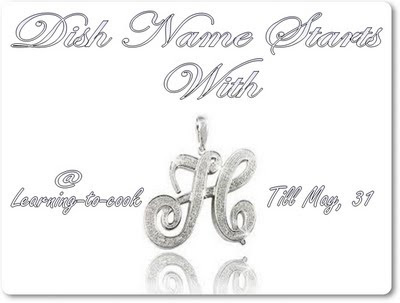 Garnish with chopped coriander leaves and serve hot with raita. Cut the paneer into 1 inch piece and saute till light golden spots occur. Drain the paneer onto to a tissue paper. 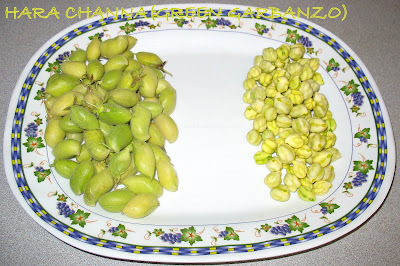 Also blanch tomatoes and puree them.Boil the greenpeas and keep aside. cloves,peppercorn,coriander powder,tumeric powder for 2-3 mins. Grind all sauteed ingredients into fine paste. Heat remaining 2 tbsp oil and add onion-spice paste. Once the raw smell is gone ,add tomato puree,salt,garam masala and tomato ketchup. Saute the gravy until oil separates.Add yoghurt and sugar and let it simmer for few mins. 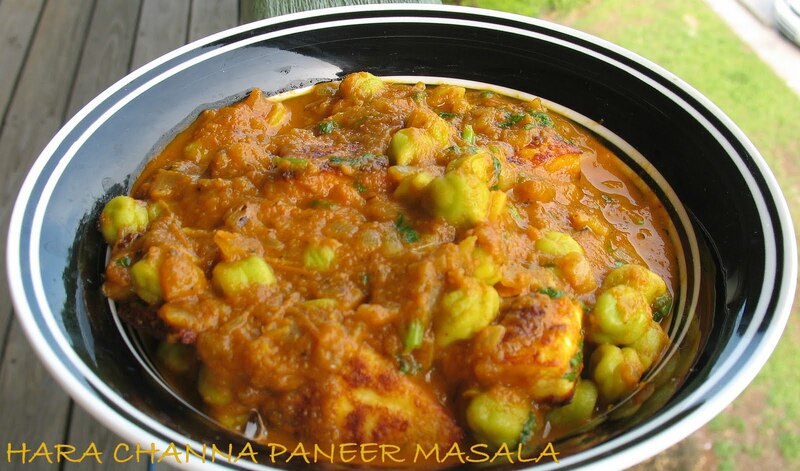 Now add greenpeas and paneer and cook for few mins. Heat oil in a pan,add onions and ginger. Saute until onion are translucent. Add chopped tomatoes and saute till tomatoes soften. Add salt,red chilli powder,cumin powder,garam masala powder and tomato sauce.Mix well. Add carrot,pumpkin,zuchini,chickpeas,veg broth and water. Cook until all vegetables are done and gravy has reduced into half. Turn off heat and garnish with mint leaves. Boil 1 1/2 cups of water in a deep saucepan. Turn off heat and add couscous,salt and oil. Stir and cover with a lid for 10-15 mins.Fluff the couscous with a fork and add chopped coriander leaves. Serve hot the couscous with stew and enjoy!!! Squeeze out the water from cabbage and carrot and add to a mixing bowl. Add salt,all-purpose flour,cornstarch, ginger-greenchilli paste and mix well. 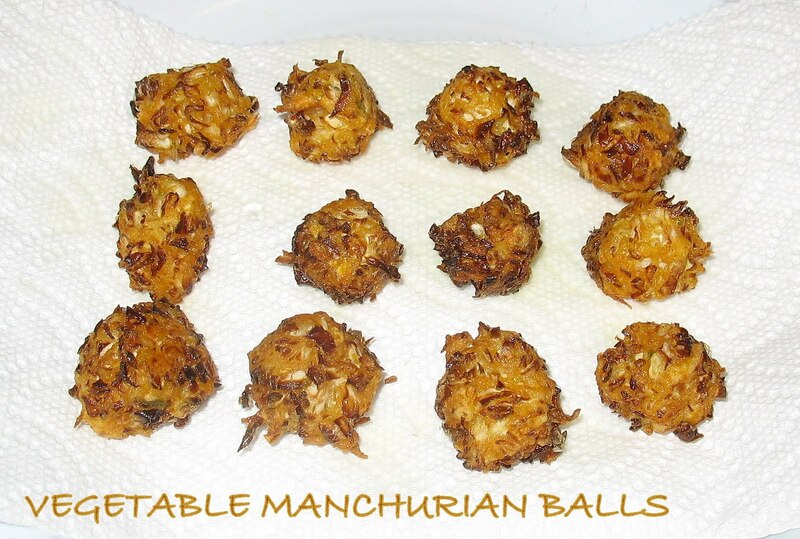 Make small balls of the mixture. Heat oil in kadhai and deep fry the balls till golden brown. Drain and keep aside. In a separate pan, add 2 tbsp of oil. Saute green onions (white part),ginger-greenchilli paste and capsicum. Add soy sauce,red chilli sauce and tomato ketchup. Saute for 1-2 mins. 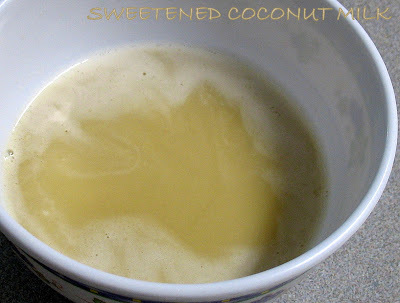 Mix 2 tsp cornstarch in 1/2 cup water and add to the above mixture. Bring the gravy to a boil and as the gravy starts to thicken, add the fried balls. Cook for 1-2 min and garnish with chopped coriander leaves. Pressure cook the hara channa for 1 whistle. Heat oil(1 tbsp) in a pan, add paneer cubes. Fry until all sides are golden browned. Drain and keep aside. Add remaining oil in a pan, also add onions and fry till translucent. Add ginger paste, green chillies and saute for a min. 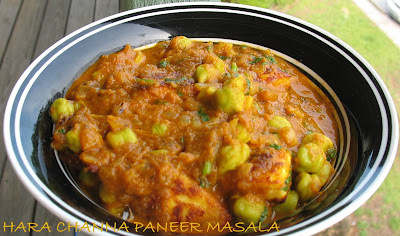 Add tomato puree,salt,tumeric powder and channa masala powder. Cook until gravy thickens. Add the hara channa and paneer cubes. Boil for 8-10 mins. Wash the moong dal. In a pressure cooker, add water, turmeric and dal. Cook for 2 whistle sounds. Heat oil in a small pan, add the mustard seeds and allow them to sizzle. Add asafoetida, ginger, green chilli and the curry leaves. Cook for a minute and add it into the daal. Also add salt to taste and 1/2 cup water if required. 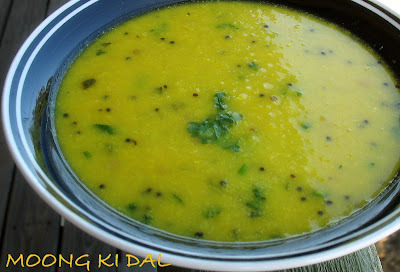 Cook the daal for a few minutes to let it come to a boil. Add lemon juice and coriander leaves, mix well and serve. Enjoy with rotis, or with rice. Heat leftover dal till luke warm. Add salt, red chilli powder,onions and coriander leaves and mix well. In a large bowl, add chapati flour. 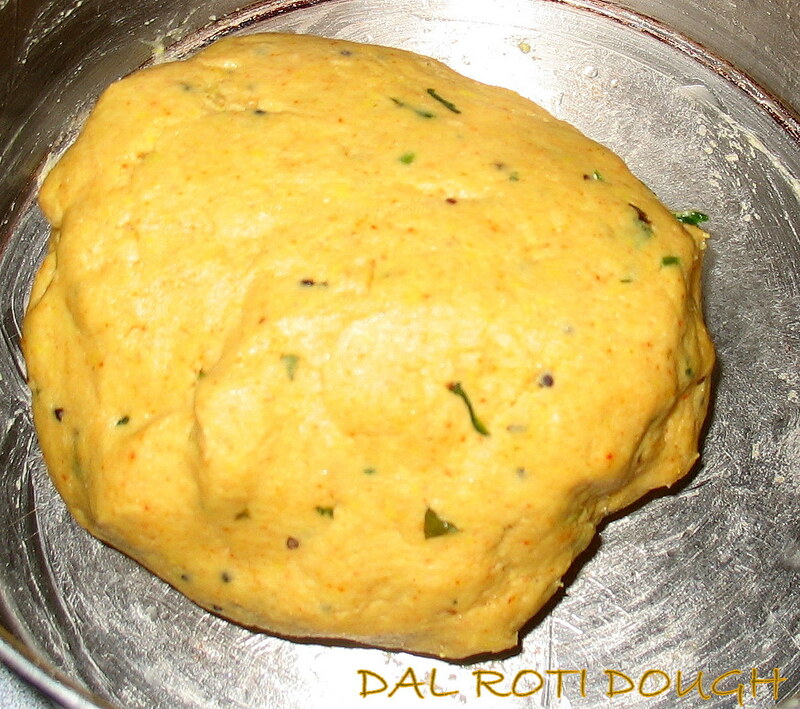 Slowly mix in dal a little at a time and start to knead until a medium firm dough is formed. Coat the dough with a few drops of oil, cover and let it rest for 15-30 mins. Knead the dough and divide it into golf ball size balls. Roll out each ball into 6 inch diameter circular discs. Place the roti onto a hot tawa or skillet and cook until bubbles start to form. 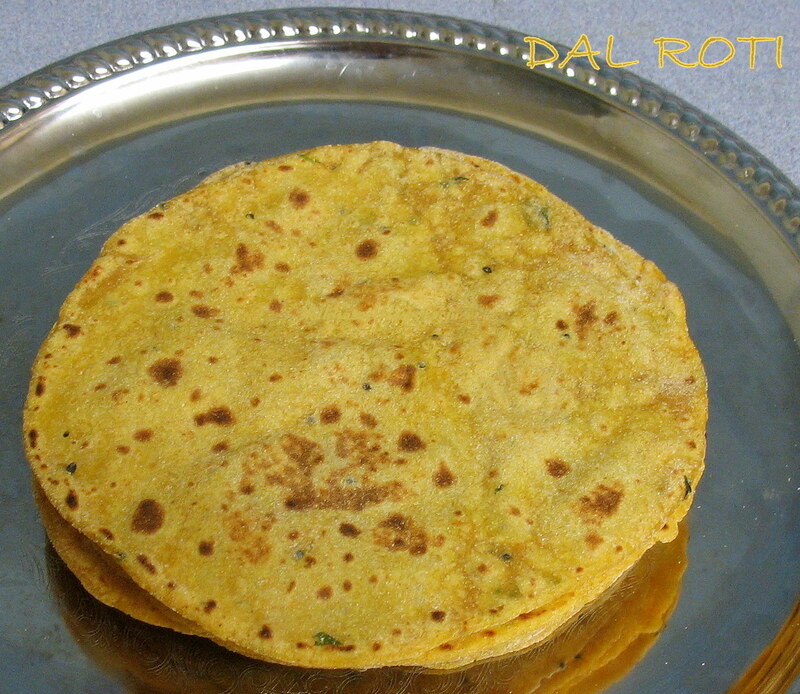 Flip roti onto the other side and cook for another 30 seconds. Press the roti with a spatula to cook evenly and to puff up. Smear oil/ghee on both sides. Keep roti in an insulated container and repeat process for remaining rotis. Serve hot with pickles or raitha.